The easiest way to experience magnificent St. Petersburg! Take a ferry from Helsinki to St. Petersburg and see the city of three revolutions! Enjoy of the world-famous Hermitage, imperial palaces and bustling streets on this easy-to-go Russian holiday. Travelling is effortless and inexpensive because you don´t need a Russian visa. Departures twice a week till end of December 2019. Breakfast Buffet onboard 13 € pp. Dinner Buffet onboard 34 € pp. See dates of departures, availability and prices in OnlineShop. Note that the price starting from 95 € p.p. is valid on cruises in cabin with 4 passengers. The most inexpensive period is in the beginning of the season (March, April) and in the end of the season (November, December). To do the booking you need to have the following passanger information at hand: whole name as in passport, date of birth, place of birth, nationality, passport number and passport validity date. You do not need a Russian visa for the cruise. Please note, that if you need a Schengen visa for travelling to Finland, your have to have a multiple Schengen visa in order to arrive back to Finland from the cruise. If there is no visa-free departure on the day you wish to travel, we recommend you to take a look at City Break by train in St. Petersburg. For this trip Russian visa is needed. Departures from Helsinki everyday. See for more information. For this tour General Terms for Package Tours and Lähialuematkat Special Terms for Day in St. Petersburg cruise from Helsinki are applied. See Terms and conditions. On the trip you should have a passport that is valid 6 months after the trip. Russian visa is not required for this short city break. NOTE! If you or your fellow traveller needs a Schengen visa when travelling to Finland, a double or multiple Schengen visa is required for this trip. 2.00 pm - 5.30 pm check-in at Moby SPL service point at Länsiterminaali (West Terminal) in Helsinki, Tyynenmerenkatu 8, 00220 Helsinki. Tram route 7 runs from Helsinki center to Länsiterminaali (West Terminal) through Kaivokatu, Kamppi and Ruoholahdenkatu. 6.00 pm ferry departs for Saint-Petersburg. 9 am Princess Anastasia arrives at the Sea Station «Morskoy Vokzal» in Saint-Petersburg. Passport control. In the high season passport control might take 1 - 2 hours or even more. Lähialuematkat Oy Russian Tours Ltd. is not responsible for any unconveniences, caused by duration of officials´control. After passport control there is a shuttle bus transfer from the port to St. Isaac's Cathedral in the city center of Saint-Petersburg. Minibuses operate non-stop to the center in the morning and back to the ferry in the afternoon. Please check operating time at the ferry’s Info desk. Bus transfer is included in the cruise package price. Show a bus driver your boarding card – any other tickets are not required. Free time in the center of Saint-Petersburg. Tip! Buy cheap souvenirs, have a lunch in one of the numerous restaurants on Nevsky Prospect, and enjoy afternoon tea at the historical hotel Astoria that is situated opposite St. Isaac’s Cathedral. Hop-on-hop-of sightseeing busses departure conveniently from St. Isaac´s Cathedral. 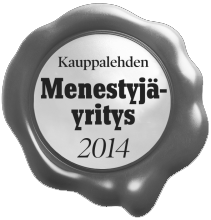 We recommend you to purchase the ticket in advance at Lähialuematkat. During the tour you are able to hop off the buss and visit Hermitage Museum and continue your tour. Kindly remember that free time in St. Petersburg is limited; you should not try to see and do too much in the city. In the afternoon – non-stop shuttle bus transfer from St. Isaac’s Cathedral back to the ferry to the Sea Station «Morskoy Vokzal». See the time table onboard Princess Anastasia. 3 pm onwards boarding is open and passengers get on board. 7 pm departure for Helsinki. 8 am Arrival at Länsiterminaali (West Terminal) in Helsinki. All timetables are in local time. In summer time in St Petersburg is same as in Finland. Lähialuematkat is not responsible for any possible schedule changes made by the shipping company, so please always check the ferry’s departure time, bus shuttle schedule on the documents you receive from Lähialuematkat and at terminals in Helsinki and St. Petersburg, and onboard Princess Anastasia. Two-night cruise trip includes accommodation in B- or A-cabins on the ferry. In more affordable B-cabins there is no window. A-cabins have a window facing the sea. Each cabin type is 9 m2 and they are situated on decks 4-6. Cruise packages include accommodation for 2 or 4 persons in a cabin. You will find options in web shop. If you want to stay in A-Premium-, Commodore- and Deluxe-cabin, please contact Lähialuematkat customer service, tel. 09 668 957 30. Buffet meals are worth reserving at Lähialuematkat at the same time when you book the cruise trip. Thus you will ensure your place in the restaurant and get your meals a bit cheaper than on the spot. Children under 4 years old eat free of charge with an adult. DeLuxe-breakfast is included in the cruise price when travelling in A-Premium-, Commodore- and DeLuxe-cabins. Hermitage is one of the world's largest and most prestigious museums with more than 3 million items from Impressionist masterpieces to fascinating Oriental treasures. The main museum complex consists of Winter Palace, Small Hermitage, Old Hermitage, New Hermitage and Hermitage Theatre. The museum was founded in 1764 by Empress Catherine the Great. The palaces from 18th and 19th centuries are architectural masterpieces by themselves. The Hermitage is situated on Palace Square in the beginning of Main Street Nevsky prospect. Nearest metro station is Admiralteiskaya (500 m). Museum is closed on Mondays. Entrance tickets, purchased at Lähialuematkat in advance allow you to enter the museum without queueing for ticket office. M/S Princess Anastasia operates between Helsinki and St. Petersburg twice a week. There are several restaurants, bars, shops and confernce rooms aboard. Lähialuematkat´s tour packages include accommodation in A Class cabins and in B Class cabins. All cabins are located on deck 4, 5 and 6. Buffet meals onboard (restaurant Mascalone Latino, deck 7) are worth reserving at Lähialuematkat at the same time when you book the tour package. Thus you will ensure your place in the restaurant setting and get your meals a bit cheaper than on the spot. The buffet dinner price includes beer and wine without limits in addition to non-alcoholic beverages. Children under 4 years old eat free of charge with an adult. Enjoy high class night show at Columbus Bar, sing karaoke at Sports Bar Legend or try water pipe at Smoking Bar. Tax free shop, hair dresser and sauna are at your disposal. American Medical Clinic´s doctor´s services are available onboard. Princess Anastasia accommodates 2400 passengers.